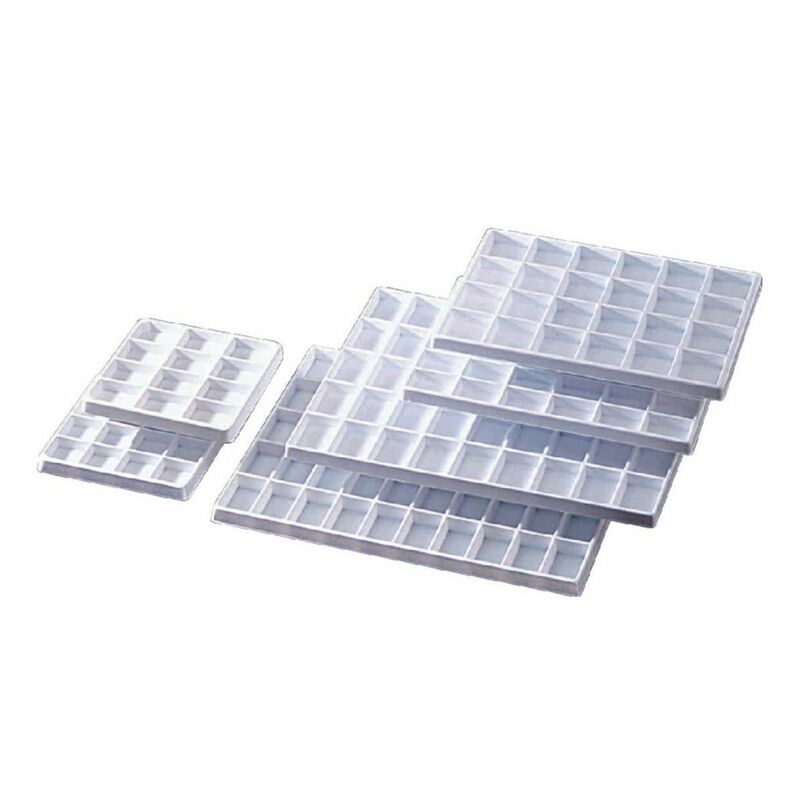 Use our vacuum-formed compartmented trays alone to keep small items separate, or in our collection boxes for permanent dustfree storage of your samples. The white nonglare finish will not yellow with age. Tray size: 6 3/4"L x 6 3/4"W x 5/8"H; cavity size: 2"L x 1 1/2"W.
Tray size: 7"L x 7"W x 5/8"H; cavity size: 1 1/2"L x 1 1/2"W.
Tray size: 12 1/2"L x 9 1/4"W x 5/8"H; cavity size: 2 1/4"L x 1 7/8"W.
Tray size: 12 1/2"L x 9 1/4"W x 5/8"H; cavity size: 2"L x 1 1/2"W.
Tray size: 16"L x 12 1/2"W x 5/8"H; cavity size: 2 1/2"L x 1 3/4"W.
Tray size: 15 3/4"L x 12 1/2"W x 3/4"H; cavity size: 2 1/4"L x 1 3/8"W.